"The Calling & Gift of Belonging"
"The Beauty of a Shared Life"
"The POWER of the good News!" "What Happens to People Who Never Hear About Jesus?" "What are the Signs a Person is Rebelling Against God"
"Does God's Kindness Lead You to Repentance?" 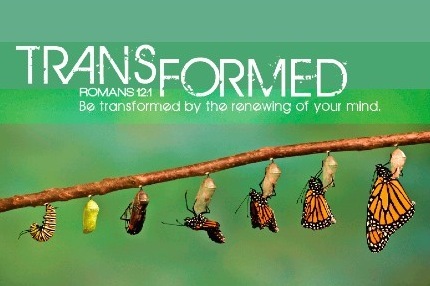 One of the branches of our TRANSFORMED series is to understand who you are BECOMING! My goal is that you will able to find your true worth in the One who designed you and knows you best. We will walk through what it takes to renew your mind, to fight for a better you, and embrace the true beauty and strength our Lord wants to bring forth in you. This will not be easy, but it is so worth the effort! "The Old Has Gone, the New is Here!" "Fighting For the Better You"
Due to technical difficulties the message was not able to be recorded. Click here for Pastor John's Message outline. Click here for the Message Notes. This message is not a part of the "Becoming Series"
"The Strength & Joy of Unity"
"A Promise You Can Count On"
"The Beauty of God's Grace"
"Are You Trapped or Free?" Due to forgetfulness and preoccupation, the message from May 11th was not recorded! We're only human! "The Thrill of Victory or the Agony of Defeat"
"Fallen, Forgiven and then Set Free!" "When Weakness Leads to Strength"
"Becoming More Than A Conqueror"
"Hearing a Message That Can Save You"
"Why Some Lessons Are So Hard to Learn"
Due to technical difficulties (why don't things work like they are supposed to? ), this message is unavailable. "What a Changed Life Looks Like"
"Where Do God and Government Intersect?"